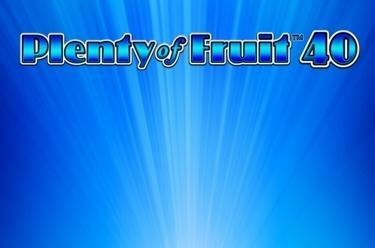 Play Plenty of Fruit™ 40 online for free now! You can't get enough of fruits? In this case Plenty of Fruit™ 40 is the right game for you because oranges, melons, cherries and more on 40 (!) win lines will turn gaming into a tasty experience. These will be joined by shining bells and with some luck the wild 7, which replaces any symbol except for the stars. When they shine big winnings are waiting for you: If you land 5 Star symbols it will rain golden winnings from heaven! 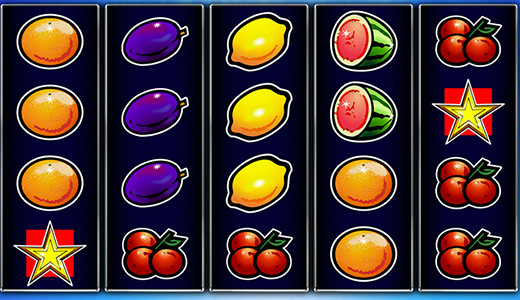 Plenty of Fruit™ 40 is played on 5 reels and 40 win lines. The aim is to land 5 matching symbols side by side along a win line. The winning patterns start at the reels on the left and runs to the right. The number 7 pays out the second highest prize and replaces any symbol except for the Star symbol (Scatter symbol). If you land 5 Star symbols in any position on the screen the highest prize is yours.